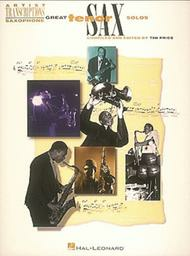 An outstanding jazz collection of 24 transcribed solos from some of the world's greatest tenor sax artists. 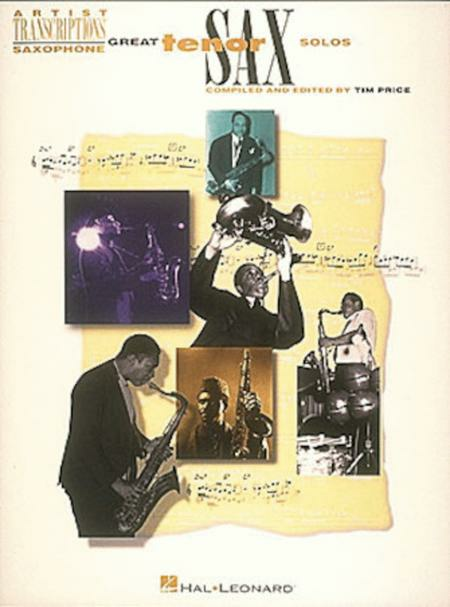 Includes: St. Thomas (Sonny Rollins) * Body and Soul (Coleman Hawkins) * Lester Leaps In (Lester Young) * Parker 51 (Stan Getz) * Tune Up (Sonny Stitt) * Bye Bye Blues (Lew Tabackin) * I'm Old Fashioned (Peter Christlieb) * Bye Bye Blackbird (John Coltrane) * and more. Also includes an introduction and notes about each piece. June 09, 2008 Clear, accurate, challenging, FUN! in front of me (and the tune in my head and/or my iPod) I'm able to play much of it full speed, and the first couple runs at about 1/8 speed... This book is a challenge but holds my interest way more than the typical beginner/intermediate stuff. My teacher rates this tune a 10 out of 10 in difficulty but if you want to see how these tunes are built, see just how limber these guys are in their speed, the length of their phrases, the incredible complexity you can build around just a D scale, this book shows you the promised land. I for one still have one heck of a journey to get there but I'm thrilled! March 23, 2004 It was excellent! This is a great book for a player who, is looking for something challenging!